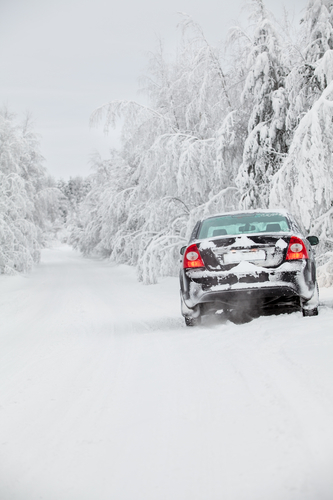 When it comes to winter driving, you can never be too careful. In addition to the standard recommendation of cautious breaking and acceleration, ABRA Auto also suggests packing a winter survival pack. This kit slides contains a variety of useful tools and supplies that can help you in case you’re stranded or involved in an automotive accident. Warm Clothing: If you’re stranded on the side of the road, you won’t want to waste gas by leaving your car on while you wait for help. Thus, you should pack an extra pair of gloves, a hat, and a blanket to help you keep warm. Phone Charger: Whether your tire goes flat or you’re involved in an accident, you’ll need to call someone for help, so remember to keep a charger on hand at all times. Also, make sure that it can plug into your vehicle’s power outlet. Small Shovel: This tool will help you dig your car out of the snow or chip away ice, if necessary. There are other supplies like food, water, flares, and a first aid kits that you can also add to your survival kit. However, these three items are essential. Visit ABRA For High-Quality Auto Body Repair! While they can’t fit into your survival kit, ABRA Auto is another valuable resource you can use this winter. Visit your local auto body shop today for expert collision repair. To see a full list of their services, visit their website.